Today, Norwegian hard rockers Magick Touch reveal the new video “Under the Gun.“ The track is the first glimpse of the band’s highly anticipated second album, Blades, Chains, Whips & Fire, which shall see international release early next year via Edged Circle Productions. “Under the Gun” is also streaming on Spotify, starting today. 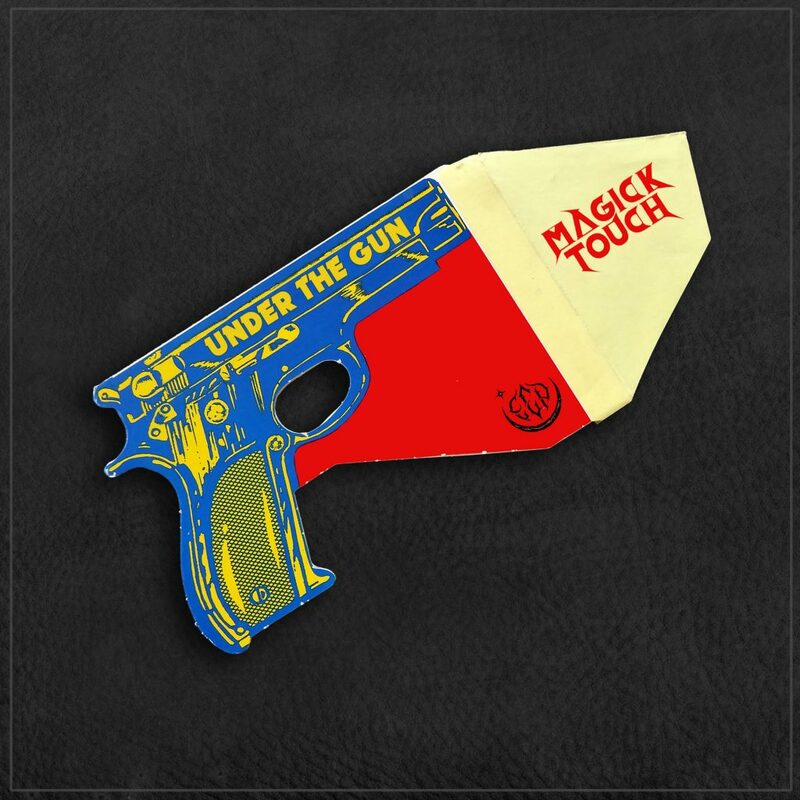 See & hear Magick Touch‘s “Under the Gun” video in its entirety HERE. Magick Touch are a power trio – with the emphasis on POWER – from the southwestern coastal town of Bergen, Norway. The band – HK Rein on guitar and vocals, Bård Nordvik on drums, and Christer Ottesen on bass and vocals – formed in 2014 and released their debut album, Electrick Sorcery, through Edged Circle in 2015. The album went on to reap worldwide acclaim for its simple-yet-profound pleasures. As the trio encompasses at least two singers and three songwriters, Magick Touch is almost like getting several bands for the price of one. Even more so than their celebrated debut, Blades, Chains, Whips & Fire plays this out with absolute (and absolutely addicting) aplomb. The vocals are characterful indeed, blending into slick harmonies on infectious choruses whilst Rein’s wah-drenched solos are splendidly delivered. Once again, this is that rich ‘n’ rewarding middle point between hard rock and heavy metal, and Magick Touch finesse it with a truly magickal touch. In these times where trends seem to come and go on an almost monthly basis, sometimes it’s never more satisfying than to simply sit back and rock out. And that’s what Magick Touch make you do. Bow before Blades, Chains, Whips & Fire and salute the eternal glory of the riff! Release date, cover art, and tracklisting for Magick Touch‘s Blades, Chains, Whips & Fire to be announced shortly.